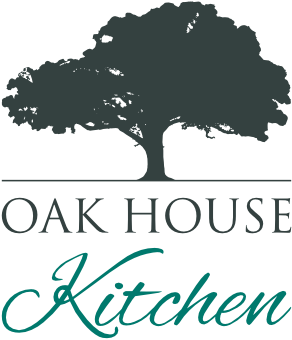 Oak House Kitchen offers a range of consultancy and training tools to suit your role or business. Whatever your role within health and social care we can apply our expertise to meet your needs. Safeguarding and compliance are at the heart of any successful care operation. You can stay ahead on the sector with any of one, or a combination, of our services. We have a range of dysphagia training courses, practical and online, which are certified for CPD use. Improving knowledge of dysphagia will improve safety and the quality of care provided. Perfect for individuals or it can easily be rolled out across small and large scale operations. Simply enrol to access the most up to date information and practical advice. £20. Click HERE to view our eLearning page. Our online meeting system allows you to join demonstrations and seminars on a range of topics that will improve the quality and safety of your care hospitality operations. Topics will be advertised on the site, just follow the links and we will send you joining code which you can use to join us live! Prices as advertised. This course is IDDSI compliant training in dysphagia management. This is a three hour certificated course for everyone working in care settings. The course is very interactive with challenges and tastings to enhance the learners’ understanding. All the content has been reviewed by a registered SLT. Contact us for more details. Prices are based on a minimum of 20 learners. This certificated course will give you the knowledge and experience to bring safe, nutritious and appetising meals for those who need it. Using techniques that can be used across the whole day, from breakfast to teatime, you will improve your service and the lives of those you are catering for. Contact us for more details. Prices are based on a maximum of 12 learners and are subject to venue costs. We know that all operations are different. If you want to improve your service across single or multi-site operations we understand you need a tailored training package to raise standards and embed systems and culture changes. We have the experience and facilities to support you in this process. Using a combination of training methods, on site and online, we can work with you strategically, give training and follow up support. Contact us for more details and get a quote. Dementia – Our in depth courses tackle the difficult problems associated with providing a balanced diet for those with dementia. Bring your catering and care teams up to date and improve the reduce malnutrition within this vulnerable group. Mealtime Experience – Optimise the work you already do to improve the nutritional status of all your residents. Train your teams in our innovative systems to deliver effective and efficient mealtime services, day after day. Catering Management – Managing a catering provision is a challenging task. Embed the best kitchen systems in your homes to stay within budget, provide high quality menus and cater for individual diets. Embed systems for recruitment, training and scheduling; menus and budgets; specialised diets; and managing the kitchen within the home.